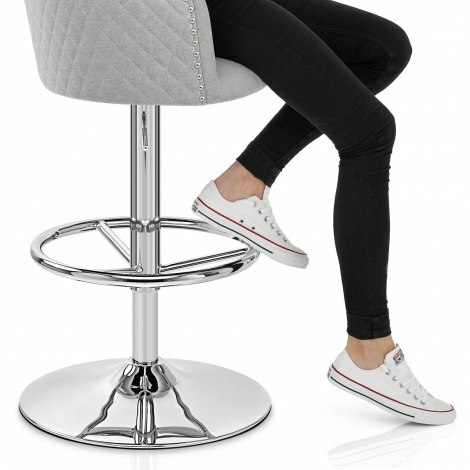 Make a fashion statement with the Vogue Bar Stool Light Grey Fabric, a deluxe design with luxurious details and plush comfort. Original and impressive, the Vogue is an opulent take on a gas lift design and will bring avant-garde style to your home. 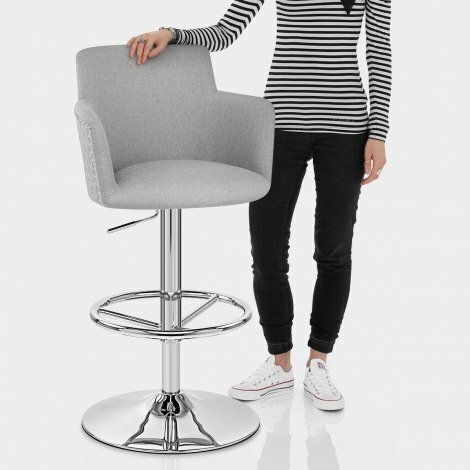 Soft light grey fabric upholsters the seat and works with dense padding to provide a comfortable feel. 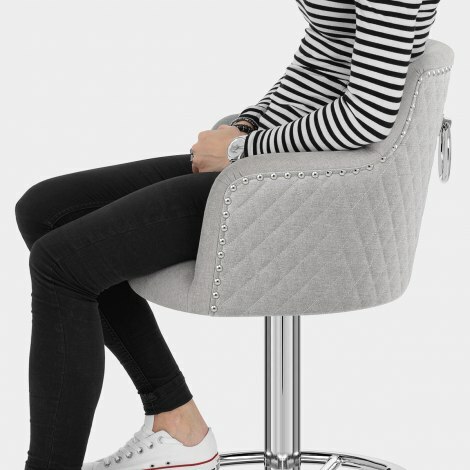 The accommodating backrest and arms surround and support the body when seated. For added opulence, chrome studs border the rear of the backrest while diamond stitching draws your eye to the decorative chrome ring in the centre. Featuring a variable height gas lift and 360-degree swivel function, the polished chrome frame is kept sturdy by a round domed base. This is complete with a protective rubber guard and a circular footrest. "Look fab, fit under island perfect, great quality, sturdy"
Excellent service delivery and a quality product. These bar stools are just what I was looking for. Arrived quickly, easy to assemble, good quality, and look very smart in my new kitchen. Beautiful stool, I will buy again for sure. The stools again arrived safe and sound and up to now have given us no bother easy to assemble and in use as I am typing this to you guys. Love these stools easy to put together comfy and look stunning ordered 3 going to get 4th for end of island !